Nationwide, the housing wage for a two-bedroom apartment is $20.30 hourly (or $42,240 annually). That means someone earning the federal minimum wage of $7.25 would have to work 112 hours a week to afford the typical rent. …[T]he last time the federal minimum wage was raised, from $6.55 to $7.25 on July 24, 2009. 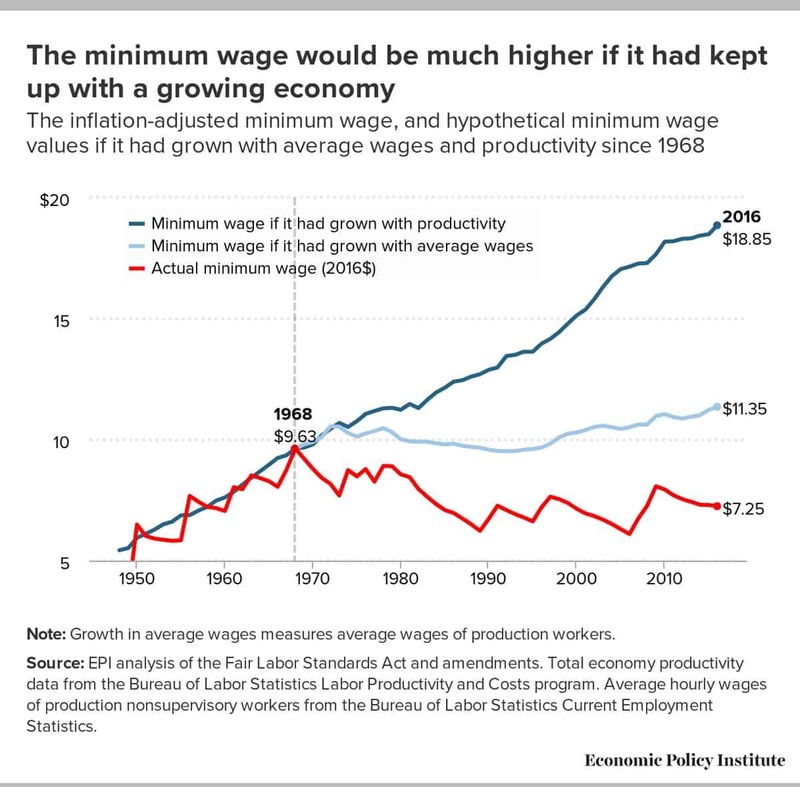 Since then, the purchasing power of the federal minimum wage has fallen by 10 percent as inflation has slowly eroded its value. However, this decline in the buying power of the minimum wage over the past seven years is not even half the overall decline in the minimum wage’s value since the late 1960s. 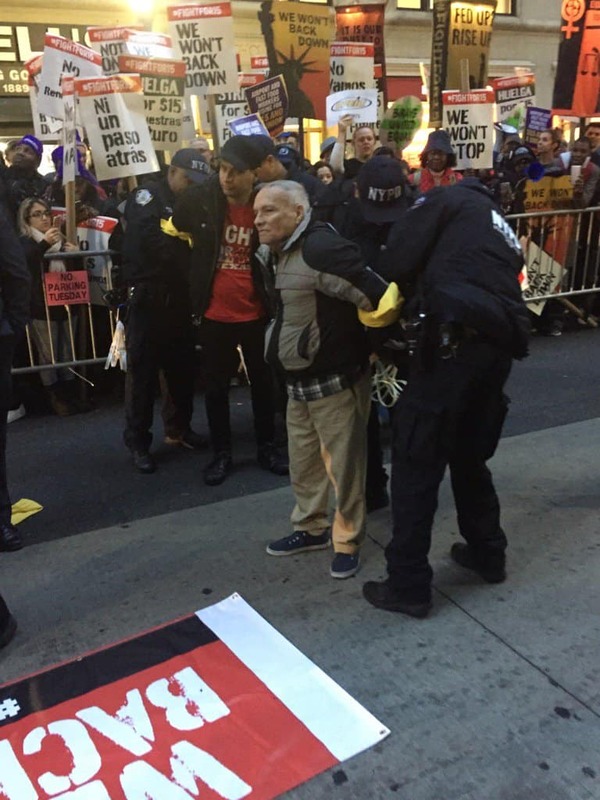 Fast-food workers are exploited. The low-wage, burger-flipping service sector is the symbol of the new economy that is stripping the country of its middle class while a few at the very top make billions. Employers take advantage of the high unemployment to pay as little as the law allows, and hold down hours to keep from providing benefits. It pays off really big for a few at the expense of everyone else. Last year the CEO of Wendy’s made $16.5 million dollars while paying minimum wage. Or more to the point, because they pay minimum wage. 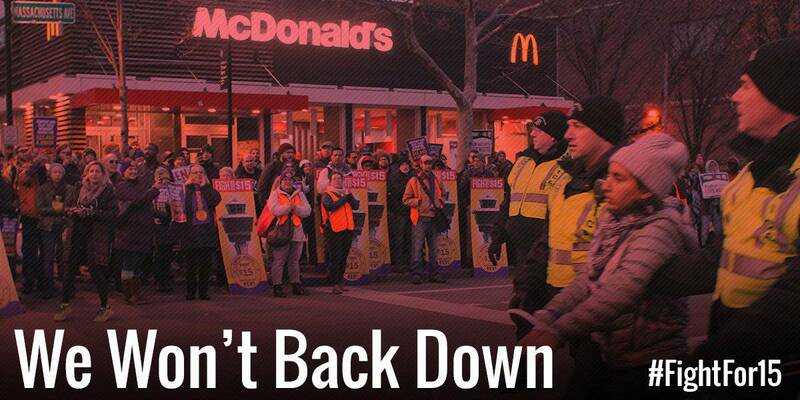 So fed-up fast-food workers are starting to organize and do something about it. Today in New York City fast-food workers staged a one-day walkout to demand a decent wage — enough to pay for rent and food. Fight for $15 has already achieved gains for workers; since 2012 America’s workers have won nearly $62 billion in raises. ● Of the $61.5 billion in additional income, two-thirds is the result of landmark $15 minimum wage laws that the Fight for $15 won in California, New York, Los Angeles, San Francisco, Seattle, SeaTac and Washington, D.C.
● At least 19 million workers nationwide will benefit from raises sparked by the Fight for $15. ● 2.1 million of those workers won raises this month when voters approved minimum wage ballot initiatives in Arizona ($12 by 2020), Colorado ($12 by 2020), Maine ($12 by 2020), Washington State ($13.50 by 2020), and Flagstaff, AZ ($15 by 2021). Follow the #Fightfor15 on Twitter, and visit Fight for $15 on the web.